Our boy has been dormant for 10 years and he’s looking for some dreamy action. The only problem is, the kids on Elm St. don’t know anything about him so they can’t dream of him. 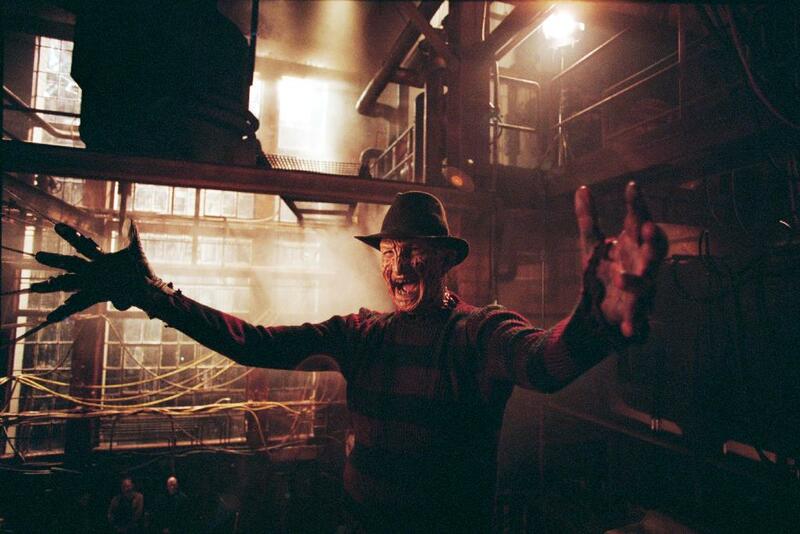 Freddy needs a way to reach out to the kids of today so he can invade their nightmares and gain some strength again. He decides that his best option is to use the moronic Jason Voorhes to do his dirty work to spread the word. The kids that do remember Freddy are locked away in a crazy folk hospital to avoid spreading his name around town. 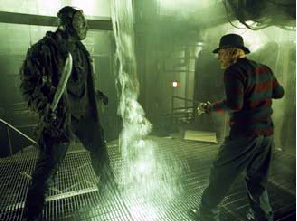 They are given a special drug Hypnocil (originally introduced in Nightmare 3) which suppresses dreams. Once Jason starts killing on Elm St. people start thinking it’s Freddy and the virus spreads. 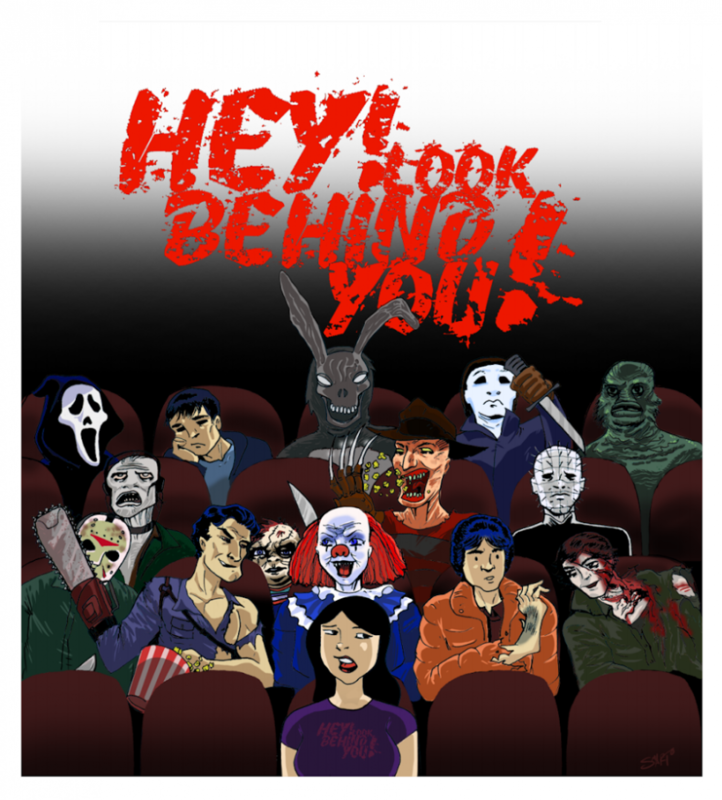 This movie has a lot of flaws, the whole “wait, I thought Jason was afraid of water?” being a huge one for me and thinking about how on the first Nightmare, none of the kids knew who Freddy was but they were still dreaming about him too. So from the verses stand point, I was on Team Freddy. Jason’s dumb and slow and well, let’s be honest, he’s retarded! Freddy’s quick, witty, mentally capable and funny. So imagine my disappointment when Jason “won.” Meh, I guess it was a pity win. I’m going for the faux Freddy death. We find out that it was Jason that won the fight and as a torphy he’s gathered Freddy’s head. Only Freddy is still sort of alive so yay for open ended ending. At least yay for Freddy’s sake. This is currently the only Freddy (or Jason) movie I've seen, though I plan to fix that soon. I thought it was really funny and entertaining to watch. While movies like this and Alien vs Predator are definitely cheesy, I think if you just enjoy them for what they are (two greats coming together and fighting each other in the same movie) they can be really enjoyable. 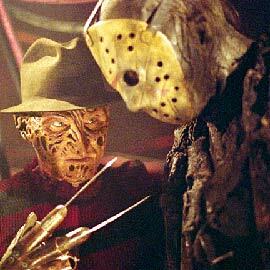 I still remember the scene where Freddy tosses Jason around like a pinball. Great stuff! This movie is such a guilty pleasure for me. It's just so funny and stupid, I get such a kick out of it.